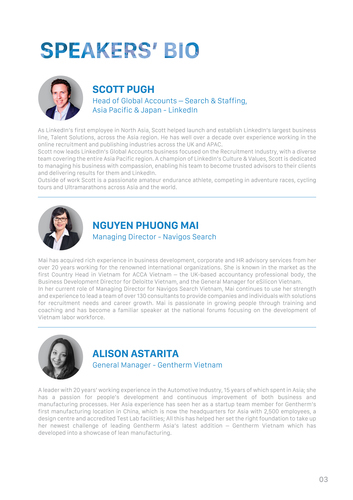 The seminar is dedicated to Navigos Search’s key clients and business partners as one of our commitments to enhance the workforce quality in Vietnam by our thought leadership initiatives. 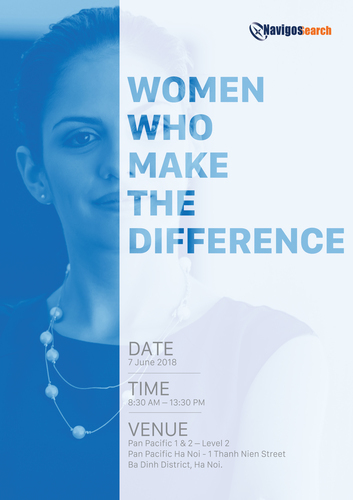 Please bring to the seminar your insights, your story, and let’s create more opportunities for women, who are ready to step up and make the difference. 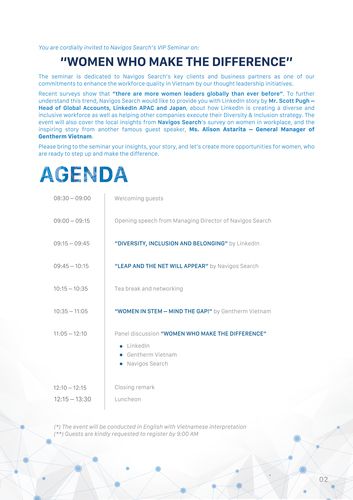 Venue: Pan Pacific 1 & 2 – Level 2, Pan Pacific Ha Noi - 1 Thanh Nien Street, Ba Dinh District, Ha Noi.